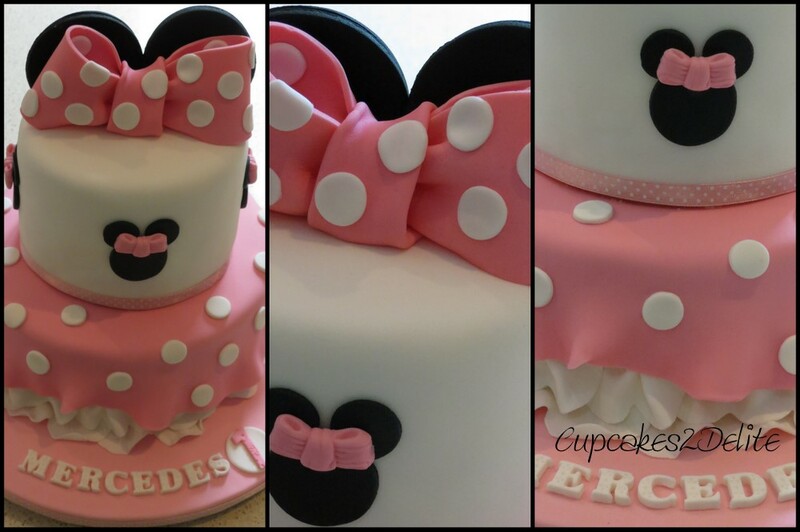 When Mercedes had her first birthday her mom, Zanele, ordered her a pretty pink Minnie Mouse Cake for her special celebration. 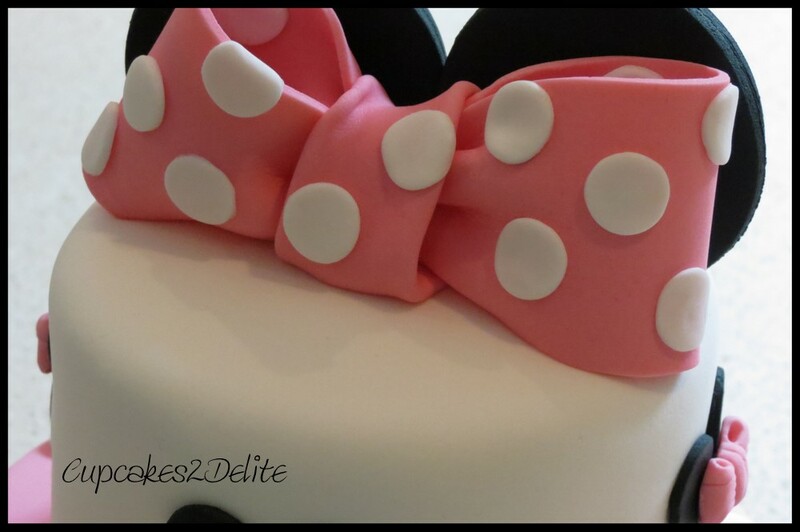 The cake was a two tier cake with the bottom tier decorated with a pink polka dot skirt with a frilled underlay and the top tier decorated with tiny Minnie faces and a large polka dot pink bow and Minnie ears to complete it. I added Mercedes name and a 1 to the board and it turned out to be a delightful little girls cake. Little girls are not just made of sugar and spice but also of bows, frills and dots and all things nice!